Ashwani Lohani back at ailing Air India: Is disinvestment now a distant dream? Ashwani Lohani has repeatedly indicated that he is against the very idea of disinvestment of Air India. Prospective bidders were sceptical of government retaining 24% stake and its plan to keep a significant portion of the debt with the Air India. Air India has already received more than Rs 27,000 crore of the Rs 30,231 crore equity support pledged to it under an earlier turnaround plan. A quiet game of musical chairs seems to have been played at the ministry of civil aviation recently. A day before his retirement on January 31, RN Choubey, civil aviation secretary, publicly praised the efforts of Pradeep Singh Kharola in improving Air India’s functional parameters and its financials. At that time, Kharola was the chairman and managing director (CMD) of Air India. Choubey quoted an almost 20 percent topline growth in the nine months between April and December of 2018-19 at Air India to say that Kharola was doing a fine job under difficult circumstances at the loss-making airline. Remember, Air India is expected to post an almost Rs 15 crore daily average loss for 2017-18 (Its results for FY18 have still not been declared and this figure has been taken from data put out by the Public Enterprises Survey). Not just 2017-18, the airline has been posting losses each year since the erstwhile Air India and Indian Airlines merged to form the present entity. Here’s another way to put the loss figure for 2017-18 in perspective: Air India was the second highest loss-making central public sector undertaking (CPSE) among 339 such units in the country last fiscal. Only BSNL made more losses than Air India and the airline accounted for almost 17 percent of the combined losses of all CPSEs in 2017-18. Anyway, a week after Choubey's praise of Kharola, the latter was handpicked by the government to succeed Choubey as the secretary of civil aviation. Whether his leadership of Air India played a part in getting him to become the top civil servant in the civil aviation ministry is anybody's guess. Now, as the government began a search for Kharola’s successor, there were unconfirmed reports that coal industry veteran Rajiv Ranjan Mishra was being sounded out, but that he was reluctant to take up this position. Air India officials now say that Mishra was never in the running and no official appointment order was issued. Be that as it may, the government yesterday decided to bring back former CMD Ashwani Lohani from retirement, for a second stint at the national carrier, succeeding Kharola. Lohani has been appointed as the Air India CMD for one year and is expected to take charge this afternoon. The biggest takeaway from this appointment: the government may well be signalling its weakening resolve in disinvesting Air India by bringing back Lohani. It is well known that Lohani, who has lead several public sector undertakings and turned some of them around, has been against any move by the government to exit Air India. In fact, Lohani has said on more than one occasion that if the debt on Air India's books were to the substantially reduced, he would be able to turn around the loss-making airline. He has also repeatedly indicated that he is against the very idea of disinvestment. A person close to Lohani said today that he would be happier turning around the airline than agreeing to any disinvestment. Well, now that the government has already decided to take away almost Rs 30,000 crore of debt from Air India's books and park it into a special purpose vehicle (SPV), Lohani's wish may have already been granted. Debt has been more than halved and about Rs 25,000 crore now remains with the airline. 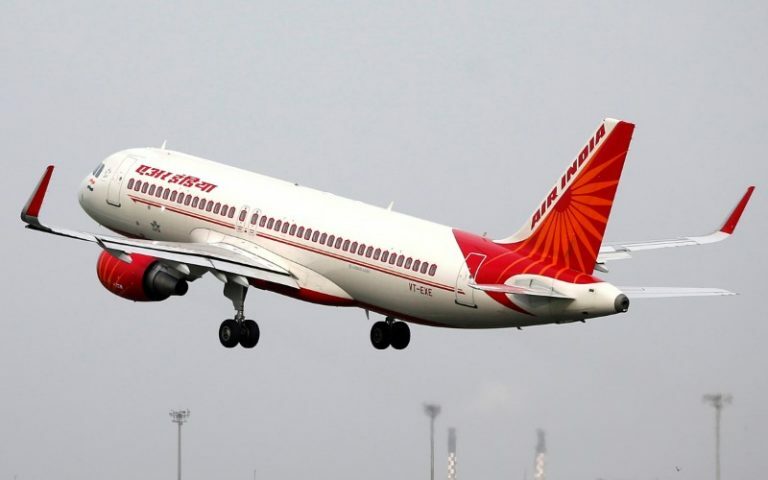 Besides, the government has just this week issued the Preliminary Information Memorandum (PIM) for disinvestment in Air India's ground handling arm, Air India Air Transport Services Ltd (AIATSL), where it proposes to exit completely. Now that Lohani is back at the helm, will this disinvestment go through, is the question. The Narendra Modi government has already seen one failed attempt to disinvest Air India last summer when not a single bidder approached till the deadline was over for the disinvestment process. Prospective bidders were sceptical of government retaining 24 percent stake and its plan to keep a significant portion of the debt with the airline. After this debacle, officials in the ministry have been saying repeatedly that the sale of Air India is on, though it will happen at the opportune time. Now, with the change in management and Lok Sabha polls round the corner, it is anybody's guess whether the disinvestment route will be taken again. Meanwhile, Air India has already received more than Rs 27,000 crore of the Rs 30,231 crore equity support pledged to it under an earlier turnaround plan. The appointment of Lohani also makes another thing clear: the government's reluctance in bringing global talent into Air India, despite officials indicating that the top management would be professionalised. If this were the case, why would a retired bureaucrat be brought back to helm the airline? Though the airline's board of directors now includes India Inc stalwarts YC Deveshwar and Kumar Mangalam Birla, they are only present as independent directors. Air India has been losing market share, its bottom line does not seem to be improving in any significant manner, and though, a significant reduction in debt should help the airline improve its overall financial position, the government still does not seem to have a long term roadmap for Air India’s revival.